You want to increase brand awareness? Run video campaigns to complete your traditional TV-ad campaigns? Get maximum reach for the lowest possible cost? Then video advertising is optimal for you. Are you often confronted with commercial ads when you are surfing YouTube or Facebook? Would you also like to benefit from the success of YouTube to promote your brand, your company and your products? Advertising on YouTube or Facebook is the perfect mix to be combined with other online channels such as Search Engine Optimization, Social Media and Search Engine Advertising. Advertising on YouTube has some particularities. 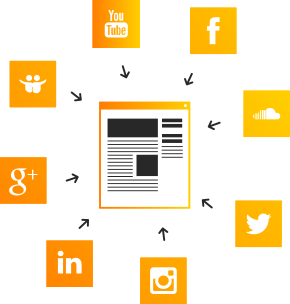 There are several advertising formats and targeting options available and there are two buying method (cost per mille or cost per view). Depending on the chosen format, users may have the possibility to skip the ad if they do not find it interesting or entertaining. This offers the advertiser some advantages as he only pays when the user actually views the commercial entirely *. *This is only applicable for InStream format. Our experts will advise you on the formats which are most suitable for your goal and budget. Video campaigns on Facebook use the same granular targeting possibilities as other ad formats within Facebook. 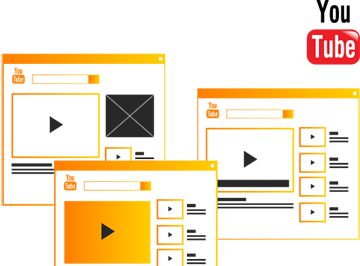 Like Programmatic Display, YouTube and Facebook offers the possibility to target your audience precisely based upon interest categories, topics and demographic data. The first of 5 seconds of your commercial. A YouTube channel preferably with a customized background and good organization. Drop-off points in the commercial. 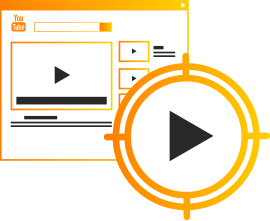 Our experts build targeted video campaigns that are mostly broadcast on YouTube and the Google Display Network. We manage the campaigns to get a maximum amount of views at the lowest investment. We buy ad space based on cost per view and provide fully transparent reporting, all this on a performance based fee!